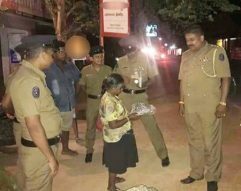 Jaffna News: A woman from a sister who lives in Piliyandala has been anonymous in Jaffna. The lady in the Kondavil area has been in pity. In this regard, the youth of the area is a former member of the Sri Lanka Movement. The district organizer S. Seanthuran took care of it. In this regard The District Senior Superintendent of Police informed him.